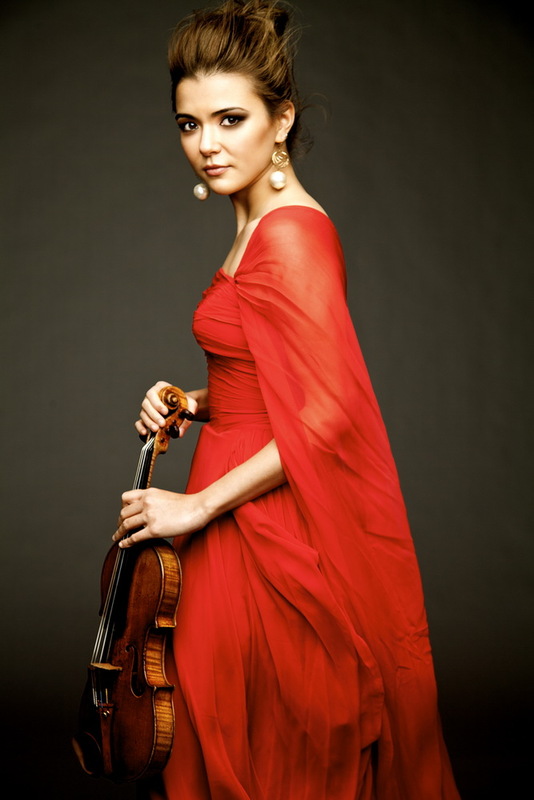 Born in Tokyo and having grown up in Montréal and New York, violinist Karen Gomyo has recently made Berlin her home. A musician of the highest calibre, the Chicago Tribune praised her as “…a first-rate artist of real musical command, vitality, brilliance and intensity…”. In Europe, Karen has most recently performed with the City of Birmingham Symphony Orchestra, Bamberg Symphony, Danish National Symphony, Orchestre Symphonique de Radio France, Residentie Orkest, Stuttgart Radio Symphony, Vienna Chamber Orchestra and WDR Rundfunk Sinfonieorchester in Cologne. Already strongly established in North America, Karen regularly performs with orchestras such as the Cleveland Orchestra, Dallas Symphony, Detroit Symphony, Houston Symphony, National Arts Centre Orchestra Ottawa (NACO), National Symphony in Washington, New York Philharmonic, Philadelphia Orchestra and San Francisco Symphony among others. Highlights of the 2017/18 season will include a recital at the Sydney Opera House, a tour with Edo de Waart and the New Zealand Symphony, followed by performances with WASO Perth and the Tasmanian Symphony. Karen will make her debut with the Kristiansand Symfoniorkester, and will also return to St. Louis Symphony, NACO, and the symphony orchestras of Milwaukee, Montreal, Cincinnati, Detroit and Indianapolis among others. Karen also performs in chamber music at the Louisiana Museum in Denmark, as part of her annual visit on their series. Strongly committed to contemporary works, Karen performed the North American premiere of Matthias Pintscher’s Concerto No. 2 Mar’eh with the composer conducting the National Symphony Orchestra, as well as Peteris Vasks’ Vox Amoris with the Lapland Chamber Orchestra conducted by John Storgårds, and has collaborated in chamber music compositions with Jörg Widmann, Olli Mustonen, and Sofia Gubaidulina. Karen has had the privilege of working with such conductors as Sir Andrew Davis, Jaap van Zweden, Leonard Slatkin, Neeme Järvi, David Robertson, David Zinman, Yannick Nézet-Séguin, Louis Langrée, Karina Canellakis, Thomas Dausgaard, James Gaffigan, Pinchas Zukerman, Mirga Gražinyte-Tyla, Hannu Lintu, Vasily Petrenko, Jakub Hruša, Cristian Macaleru, Thomas Søndergård and Mark Wigglesworth. In recital and chamber music, Karen has performed in festivals throughout the USA and Europe. She recently toured with the Australian Chamber Orchestra and fellow guest artist, the mezzo-soprano Susan Graham. Her chamber music collaborators have included the late Heinrich Schiff, Christian Poltéra, Alisa Weilerstein, Leif Ove Andsnes, Olli Mustonen, Kathryn Stott, Christian Ihle Hadland, Antoine Tamestit, Isabelle Van Keulen, and Lawrence Power. In 2018 she appears at the Seattle Chamber Festival and the Australian Festival of Chamber Music in Townsville, Australia. Karen is deeply interested in the Nuevo Tango music of Astor Piazzolla, and performs with Piazzolla’s longtime pianist and tango legend Pablo Ziegler and his partners Hector del Curto (bandoneon), Claudio Ragazzi (electric guitar) and Pedro Giraudo (double bass). She also performs regularly with the Finnish guitarist Ismo Eskelinen, with whom she has appeared at the Dresden and Mainz Festivals in Germany, and in recitals in Helsinki and New York. NHK Japan recently produced a documentary film produced by NHK Japan about Antonio Stradivarius called “The Mysteries of the Supreme Violin”, in which Karen is violinist, host, and narrator, was broadcast worldwide on NHK WORLD. Karen plays on the “Aurora, ex-Foulis” Stradivarius violin of 1703 that was bought for her exclusive use by a private sponsor.